THE MARTINI CHRONICLES: Martini Thursdays...The Champagne Martini! Greetings Divas and Gents! And Happy Fourth of July! I'm sure many of you are on your way to a beach or preparing for a barbeque of some sought. 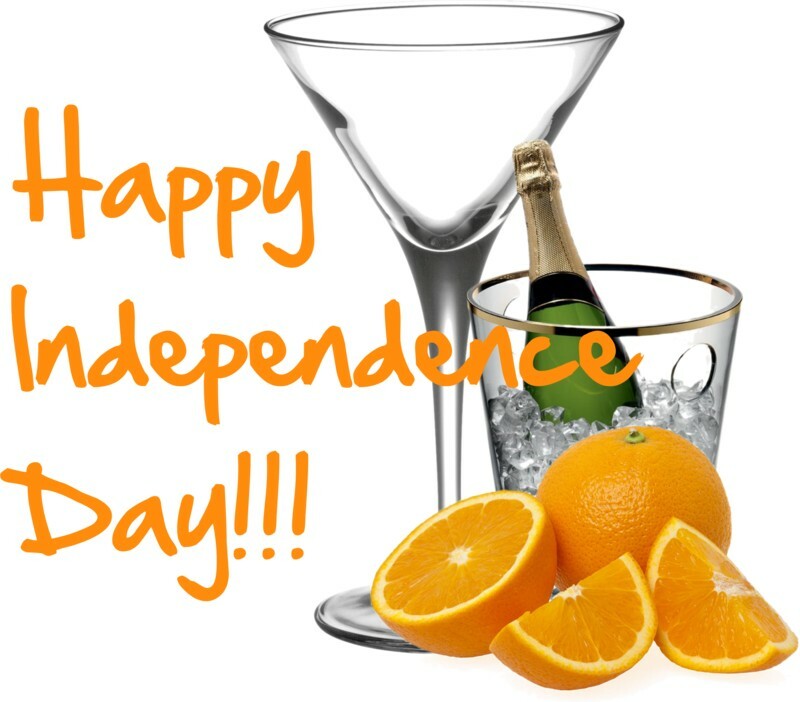 In honor of Independence Day, I found a martini recipe that incorporates the classic celebration nectar (Champagne), and combines it with a burst of citrus. The Champagne Martini is a quick and simple recipe, and it will be a welcomed addition to your beach and barbeque beverages (especially for the Divas!). Keep the champagne chilled and the martini glasses clean. And don't forget to Drink Responsibly! Enjoy! 1. Combine Champagne and Triple Sec in a chilled martini shaker. Stir! 2. Pour mixture into a chilled martini glass (or champagne glass if you choose). 3. Garnish with an orange wedge.